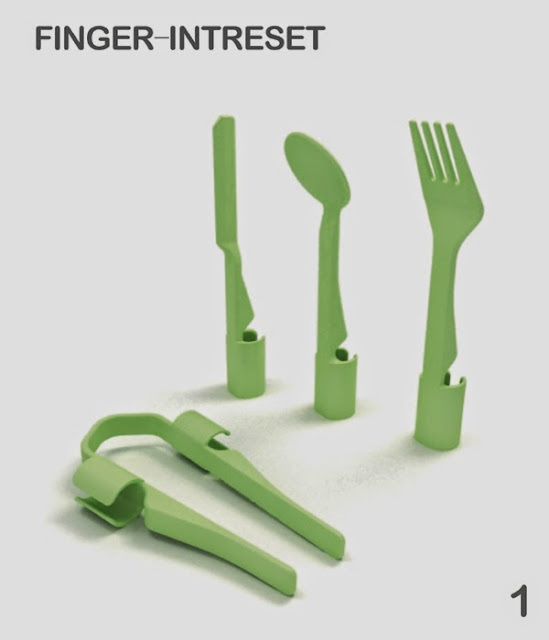 Innovative and Clever Wearable Cutlery. Collection of 'Innovative and Clever Wearable Cutlery' from all over the world. 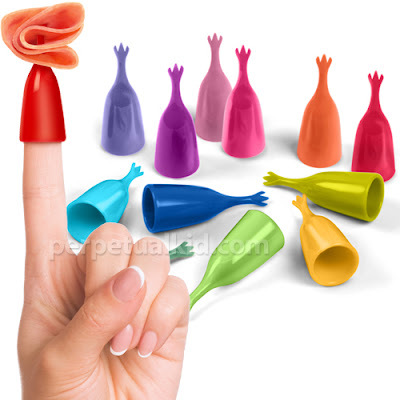 Fingers: Italian designer Alberto Ghirardello designed Fingers, its made in strong plastic material, and provides comfortable grip and comfort. 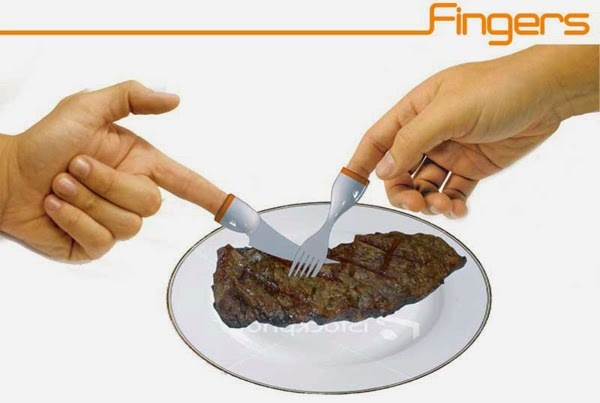 Fingers Interest: Fingers Interest by Sinan Mu allows you to use number of cutlery at the same time using one hand. 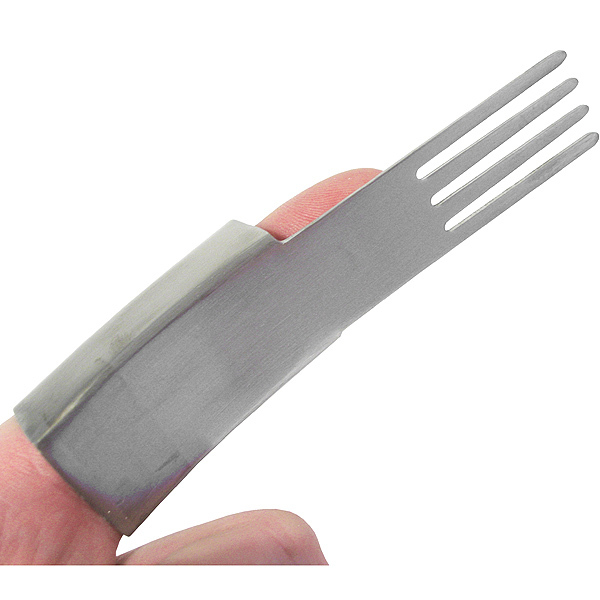 Fingers Fork: These stainless steel fingers fork is best suited for buffets and parties. Fingerpickers: Just slip on one of these and you're ready for hors d'oeuvres even with a plate in one hand and glass in the other. 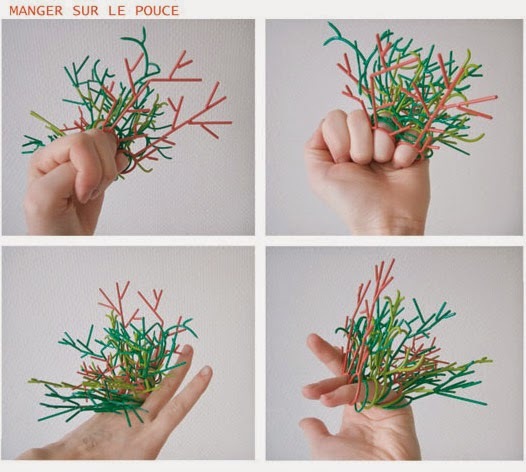 Manger Sur Le Pouce: These look like tree branches on the little rings, designed by Pinaffo Marion from France. Fingers Cutlery: Its designed by Jie Zhu, simply place the cutlery pieces on your fingers to eat. 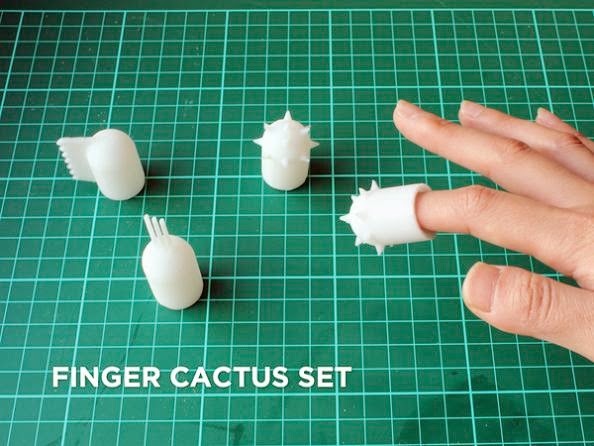 Fingers Cactus: This creative cutlery range comes from Playsettings; these are designed specially for a more playful experience and younger market. These come in different shapes, allows you to interact and pick up your food in various ways. 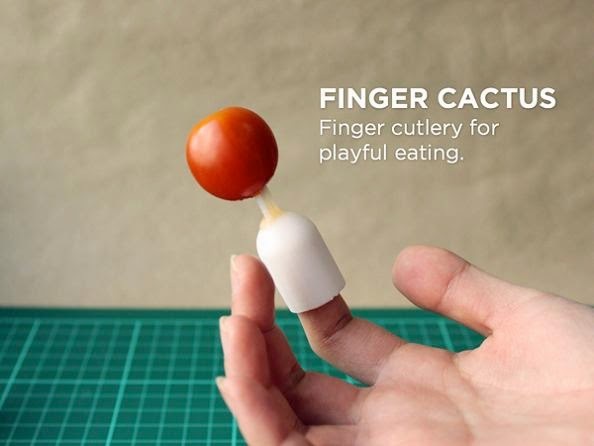 Eat With Your Fingers: Eat With Your Fingers designed by Key Portilla-Kawamura from Spain consists of 3 mini-pieces of cutlery that can be placed at the end of our fingers for eating. 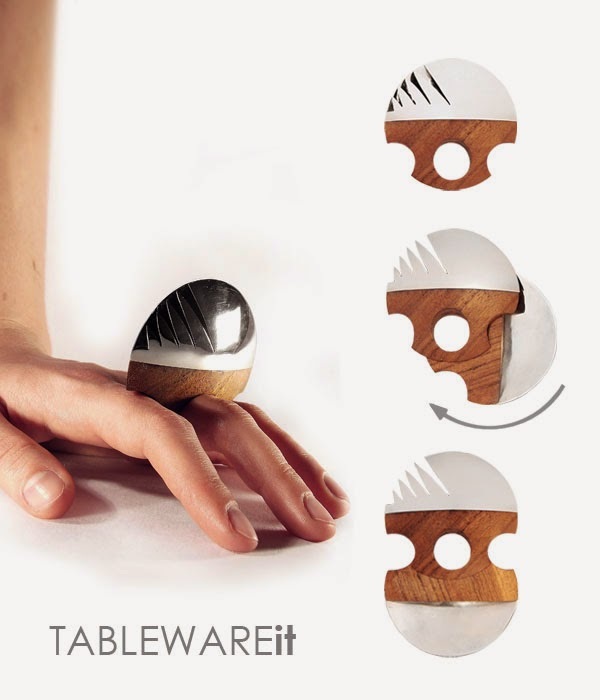 Tableware It: The tableware ring combines jewelry and tableware in a gadget, it allows you to take your own tableware with you. 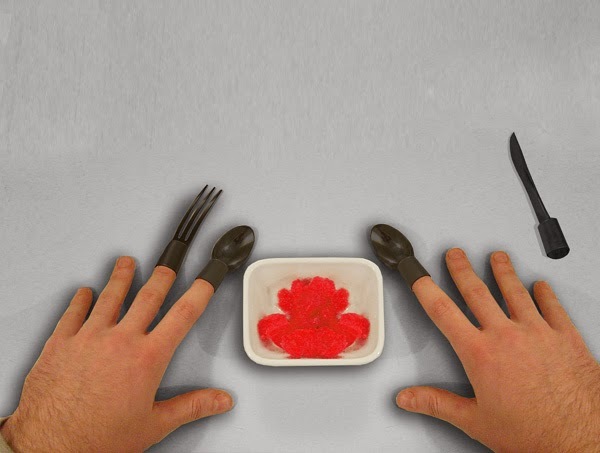 Schnittstelle by Mijalkovic Milan: Schnittstelle by Mijalkovic Milan moves cutlery from our palms on to the fingertips. 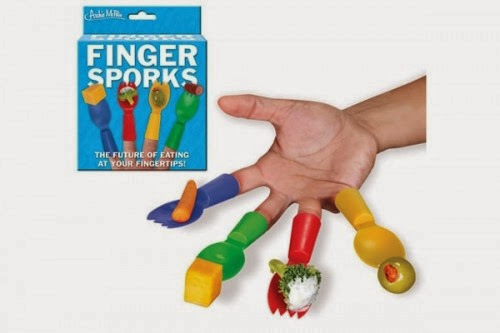 Fingers Sporks: These Fingers Sporks comes in four bright colors, just place them on your fingers and start eating away. 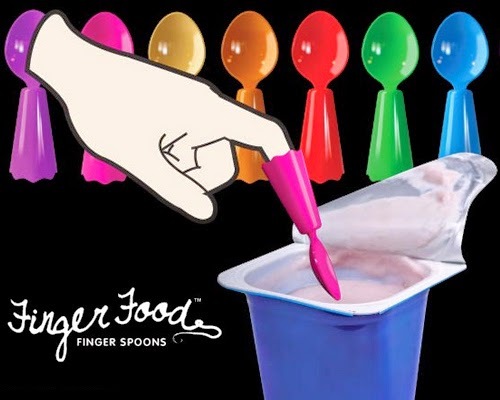 Finger Food Spoons: Simply place these Fingers Food Spoons over your fingers and you are good to go. 12 Creative Belts and Unusual Belt Designs - Part 2. 15 Unique Bathroom Faucets and Beautiful Kitchen Faucets - Part 2. 11 Innovative Camera and Smartphone Stabilizers. 15 Awesome and Coolest Pocket Gadgets - Part 2. 12 Innovative and Cool iPhone Adapters. 10 Innovative and Cool Convertible Sofa Designs. 15 Clever Peepholes and Cool Peephole Stickers. 15 Creative Brushes and Clever Brush Designs. 15 Awesome Illuminated Gadgets and Products. 11 Innovative and Smart Door Locks - Part 2. 12 Innovative and Clever Dog Leashes. 15 Creative Serving Trays and Platters. 15 Coolest Dog Tracking GPS and Trackers. 15 Useful and Best iPhone Gadgets - Part 5. 15 Coolest and Awesome Dog Collars. 15 Awesome and Coolest Cutlery Designs - Part 4. 15 Coolest Gadgets for Photographers - Part 3. 15 Creative and Cool Warmers for Office. 15 Smart and Innovative Gadget Watches. 15 Smart Bathroom Gadgets For You - Part 4. 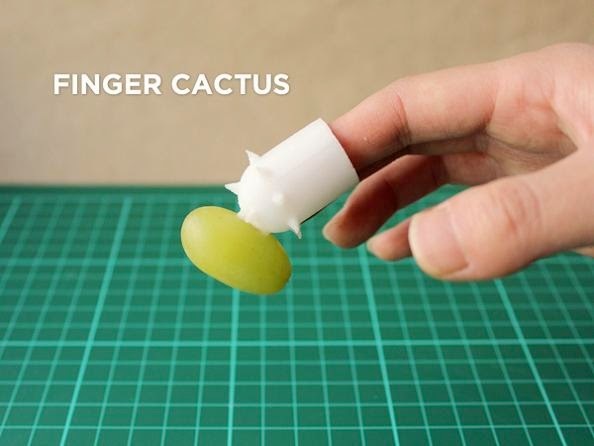 15 Innovative Universal Gadgets and Products.